Drake's 'One Dance' featuring African's finest Wizkid has for the 11th week been atop UK single's chart making it the longest running No. 1 single in UK's digital era, though its not clear if they meant the former or the new UK. 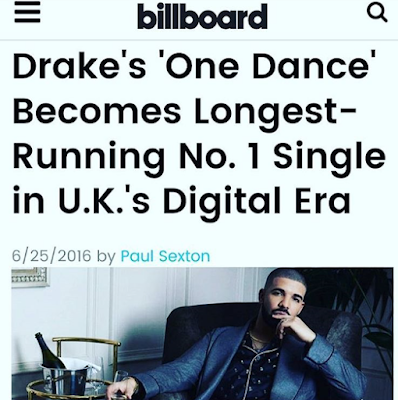 But one thing is clear, 'One Dance' has seem to remain on the No. 1 spot in a long period. One Dance video which has been shot is yet to be released as Drake is waiting for the right time to do so.